Paris is the birthplace of Impressionism, one of the most celebrated art styles in the world. As such, I felt it only right to visit this famous place during such a special time as Christmas to learn from great artists of the past and to witness their inspirations. During this time, “Christmas in Paris” took shape. 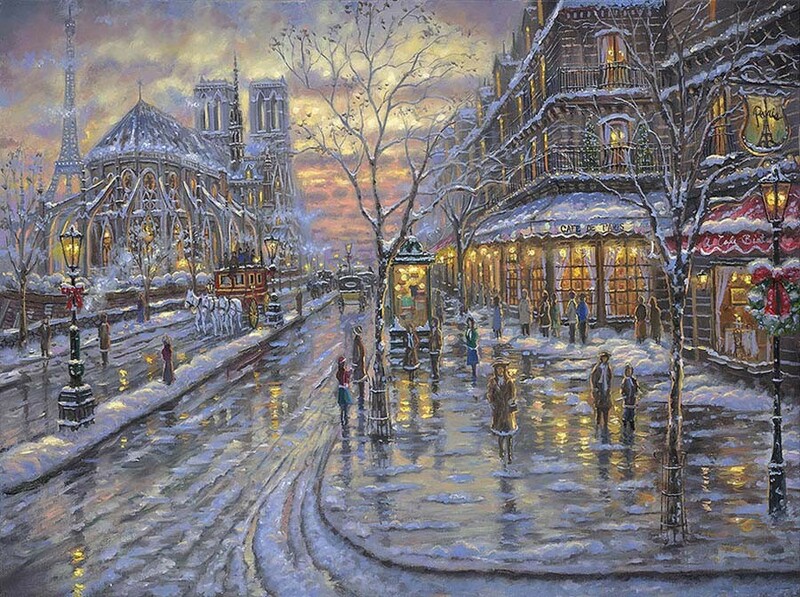 “Christmas in Paris,” is a painting which takes me back to the turn of the century in Paris, France. 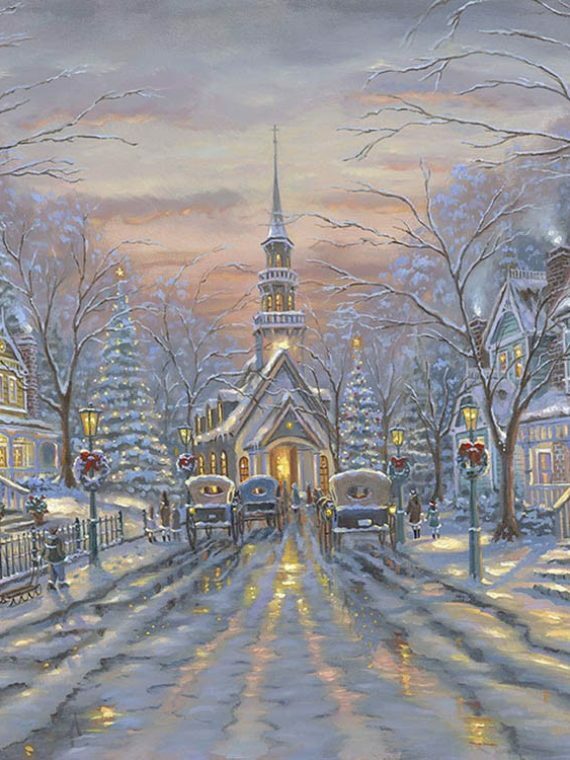 There is no time more special than Christmas time in the City of Lights. 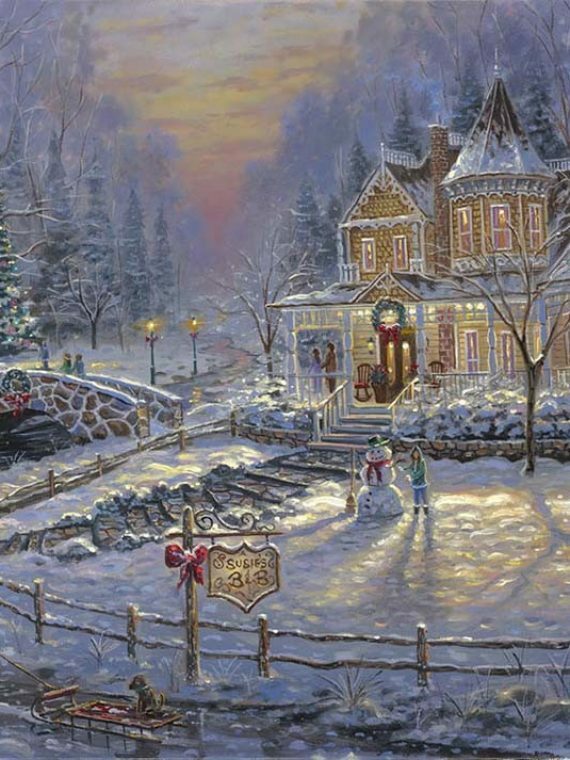 As I gaze at the canvas, I can hear the sound of the horse and carriages making their way through the snow filled streets of Paris. In the distance, the sound of bells chiming from the twin towers of the famous Notre Dame Cathedral can be heard throughout the city. As I wander down the corridors of the city, I can smell the cafes brewing fresh coffee and hot chocolate for the day ahead. It gives off a warmth which can even be felt from outside, therefore I decide to seat myself near a window to ward off the cold and watch the people rushing by to get their last few gifts for family and friends. 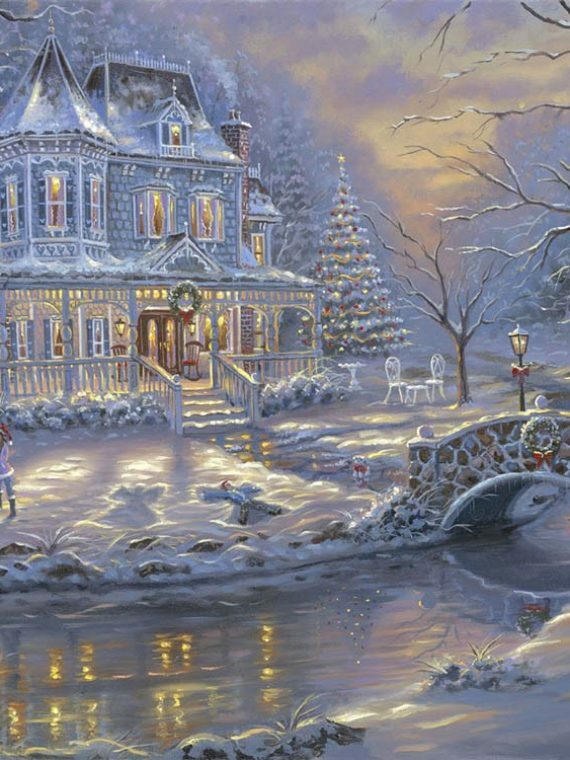 I cannot imagine a more perfect setting to a Christmas in Paris. 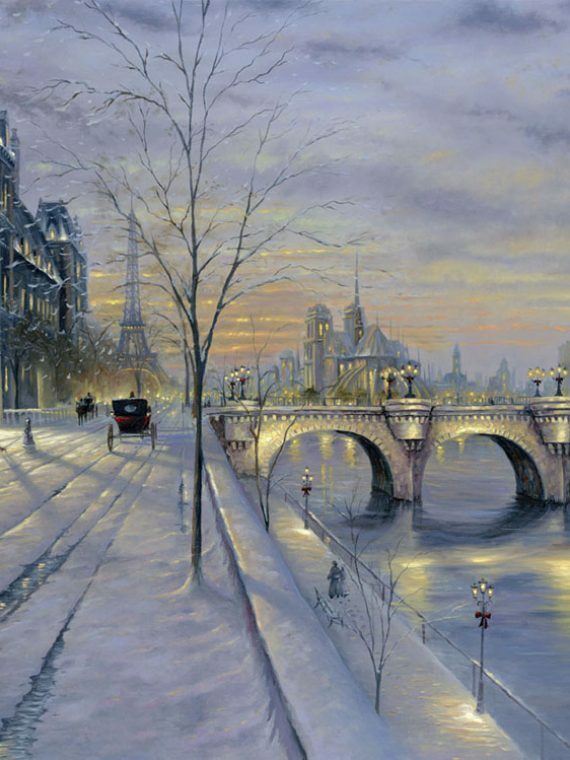 I dedicate “Christmas in Paris” to some of my favorites; Edouard Cortes, Eugene Galien-Laloue, and Antoine Blanchard.